World Cup Daily Briefing: France through, can England join them? 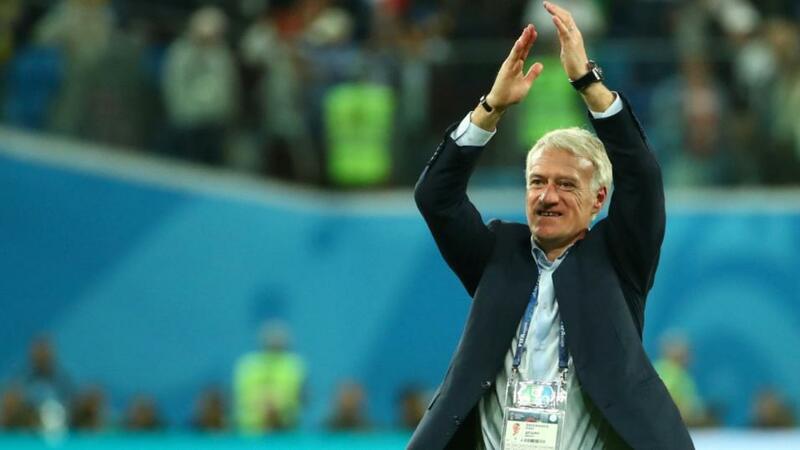 Deschamps' team of water carriers + Kylian Mbappe are through to the final. "Didier Deschamps’ team has created a team so disciplined, that even Paul Pogba bothers to track back. This brand of French resistance will be difficult for anyone to beat." France are [1.69] to win the World Cup. England contest their first World Cup semi-final in 28 years, as they face their stiffest test yet against stylish Croatia. "Croatia have been fairly underwhelming since beating Argentina: they made heavy work of both Denmark and Russia and have been workmanlike rather than inspired in attack." Read Jack Lang's Croatia v England preview and betting tips here. Is football rentrer a la maison? Last night France booked their place in the World Cup final and on the evidence of their victory over Belgium they will make very tough, if somewhat boring opposition, for either Croatia or England. In the early stages of the match it did look as if the French and Belgians would serve up the classic that many had been anticipating. The fine form of both goalkeepers instead robbed the game of the early goal that would have ignited it and when France took the lead from a set-piece early in the second-half, they were too solid for Belgium to break down. Belgium's squad always looked unbalanced and with Thomas Meunier suspended, we were served up the sight of Nacer Chadli at right-back and later, Marouane Fellaini on the left-wing, as Roberto Martinez desperately dreamed up increasingly crackpot strategies to score an equaliser. Now Belgium will contest the the third place match on Saturday and on the evidence of last night, it will be a more entertaining game than the final that will involve France. Not that the French will care. They have now reached their third World Cup final of the last 20 years and their second successive tournament final, having lost to Portugal at Euro 2016. Didier Deschamps' team has created a team so disciplined, that even Paul Pogba bothers to track back. This brand of French resistance will be difficult for anyone to beat. France are now the [1.69] favourites to win the World Cup. They were backed at [21.0] earlier in the tournament, when it looked as if they could be eliminated by Argentina. England are the second favourites at [3.65], though first they must deal with the challenge of Croatia who trade at [7.0]. Gareth Southgate's team have been as high as [30.0], while Croatia were once rated as long shots at [95.0]. Harry Kane has scored on six of the seven days of the week for England, with Wednesday the only day he hasn't scored on. Should he score, he'll become just the third player to score on all seven days of the week for England, after Wayne Rooney and Frank Lampard. Kane is [2.4] to add to his tally. Who will be top scorer? Antoine Griezmann, Kylian Mbappe and Romelu Lukaku all drew blanks last night, edging Kane close to the Golden Boot. The England striker now trades at [1.08], with a possibility of two games remaining for him to add to his tally of six goals. In the Top Goalscorer - Top Four market, the French forwards still have a chance of gatecrashing the party. Griezmann is [3.1], with Mbappe at [3.5]. We don't have to tell the English amongst you that the national team are playing a very important match tonight, as most of you will have been feeling nervous since waking up with a hangover on Sunday morning. Our crack squad of patriotic pundits have brought you a huge amount of betting tips and information ahead of England's crucial clash with Croatia. Ralph Ellis is on hand with the lessons that can be learned from '66, while Jamie Pacheco picks out the best Same Game Multi Bets options. Betfair Ambassador Rio Ferdinand gives his thoughts on why England are destined for the final, Michael Cox has the tactical breakdown and Stephen Tudor pits his gut feeling against his potentially smarter head. Who will win the Golden Ball? The teenage sensation Mbappe is now the hot favourite to be named as the tournament's best player, after delivering another fine performance in France's semi-final win. Mbappe is [2.2] to win the Golden Ball, ahead of Kane at [5.7], Luka Modric at [8.0] and his compatriots Griezmann at [12.5], N'golo Kante at [16.5] and Pogba at [20.0]. What other sport in on today? The men's quarter-finals take place today at Wimbledon, with the big names such as Novak Djokovic, Roger Federer and Rafael Nadal all in action. You can find all the best Wimbledon betting advice from our team of talented tennis tipsters here.